Alright, potatoes are where my stance on ‘cheap to buy and readily available so don’t grow them’ falls apart. Fresh potatoes are so amazing. New potatoes. Waxy, flavorful, amazing potatoes. Yes, they take up loads of room. Yes, you can now get amazing varieties in your local markets and yes, they are cheap (usually) in the store. But all I can tell you is that the potatoes we’ve grown ourselves far outshine anything we’ve ever bought at a store. Grow them- in a bag! In a box! Anywhere you can fit them in! Time to Maturity: Potatoes are classified as either early, mid, or late types. Early mature around 65-80 days. Mid at 80-90 days. Late at anything over 90 days). And then there are new potatoes (first and second earlies!?!) and main harvests- all of which can be a bit confusing. Monty Don explains it well and I often reference this video. (I do hope the video works for you!) Needless to say, unless you have a very long gardening season, stick to early or mid types. 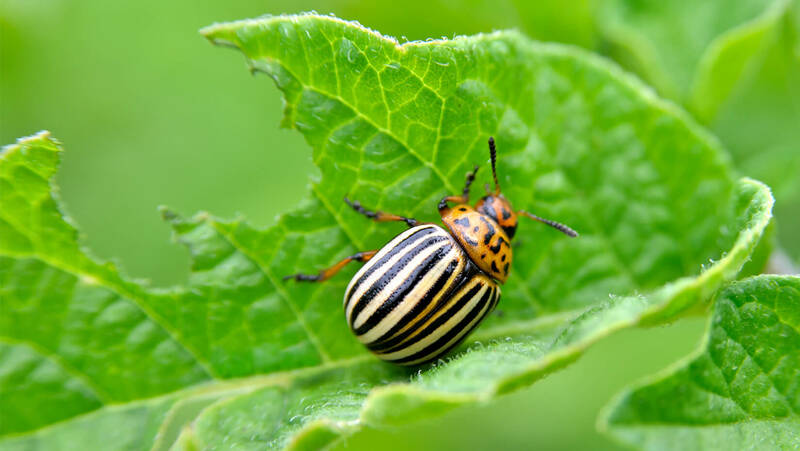 Diseases & Pests: Scab (which is at its worst during very dry conditions), Colorado Potato Beetles, Early Blight, Late Blight, and Verticilium wilt. Potato Beetles are easy enough to pick off i you have but a few (as we do) as they are dead easy to spot. Thankfully! Key Words: The biggest factor in choosing a variety (aside from maturity time) is if you want a waxy potato or a flaky one. Then you must think of color- skin color and flesh color. And then you must consider size, shape, and flavor. There are SO MANY to choose from! I find the waxy ones to be the kind rarely found in markets and grocery stores. Yukon Gold is hard to beat for mashed potatoes and seeing as how easy those are to source, I put my focus to wax potatoes. Though a close second would be a thin-skinned small red potato. Use: How you want to use them will dictate what type(s) you choose. If you prefer using them in salads (aka- boiled), fried, or grilled go with waxy. If your priority is baked potatoes, french fries, and mashed, go for fluffly ones. Rest assured, there are multi-use potato varieties as well. Just think about how you most like to enjoy them and let that guide your search. And I don’t think I need to tell you the litany of ways you can consume these delicious tubers. My Favorites: I’ve only grown Rose Finn Apple so far- a fingerling, waxy type with amazing buttery flavor. It is a delight and I recommend it- plus it makes the most amazing German Potato salad. The fingerling shape is great for frying, but makes slicing and dicing a bit of a pain. What I’d Like to Try: This year I am still waffling between Katahdin (mid-season, large round waxy, great storage) and Dark Red Norland (early-season, round semi-waxy, red skinned). Both will be great for new potatoes and should be very versatile in our garden. Notes: Don’t discount potatoes if you have a small space! There are so many container options designed for potatoes and some gardeners with large spaces choose to grow them in bags or bins. Chit them before you plant them. Don’t forget to mound them up as they grow and BE CAREFUL!!! when you go to dig them out. There’s nothing sadder than a lovely home-grown spud impaled on your garden fork. Ask me how I know. I know this sounds like a lot- and it is compared to most veg- but it is worth it. Check out this how-to article from the RHS– it’ll get you sorted in no time, just disregard the dates/months and seek out specific dates for your growing zone.